National Transmission and Despatch Company Jobs 2018 is listed below in our site. Applications are invited from all over the Pakistan for NTDC Jobs 2018. The last date for submitting of applications form for NTDC Jobs 2018 is 12 October 2018. 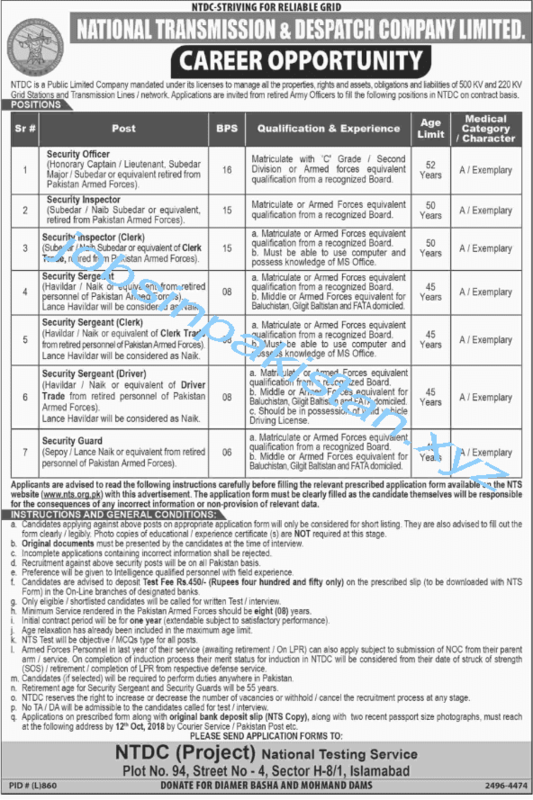 If you want to apply for NTDC Jobs 2018, so kindly send your C.Vs and two passport size photos to National Transmission and Despatch Company Islamabad. Only short listed candidates will call for interviews, along with important documents to National Transmission and Despatch Company Islamabad. National Transmission and Despatch Company Islamabad requires a applications for following empty jobs.